At approximately 6:30am on Tuesday, 23 October 2018, Israeli naval forces opened fire at Palestinian fishermen sailing off the coast of northwest Beit Lahia town in North Gaza district. The warships seized one boat that carried two fishermen, detaining the two and confiscating the fishing boat and equipment. Al Mezan’s documentation shows that the boat was at a distance of around two nautical miles from the coast, well within the Israeli-enforced restricted fishing zone, when it was seized. 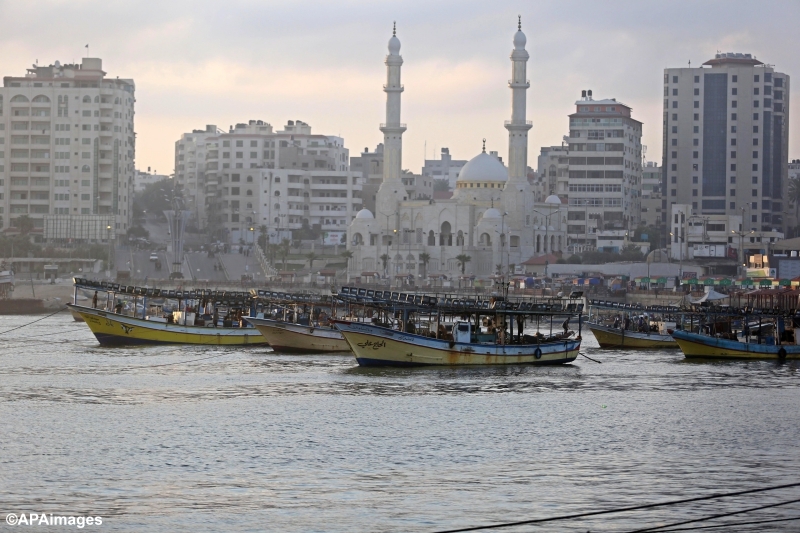 The two detained fishermen are: Awad Al-Sultan, 21, who is a resident of Beit Lahia, and Ahmed Syam, 20, who is a resident of Al-Shati’ refugee camp in Gaza City. At approximately 1pm on the same day, Israeli warships opened fire at fishermen sailing within four nautical miles from the coast of Al-Sheikh Ijleen area in southwest Gaza City. The Israeli naval forces seized one boat carrying two fishermen, detaining both and confiscating their fishing boat and equipment—despite, again, being within the Israeli-enforced restricted fishing zone. Al Mezan’s documentation shows that the two fishermen are: Mahmoud Meqdad, 35, and Hasan Meqdad, 26. Both are residents of Al-Shati’ refugee camp. The four fishermen have been taken to an unknown detention center. Al Mezan's documentation shows that from the start of 2018, Israeli forces have carried out 270 attacks on fishermen—267 of them with live fire—killing one fisherman, injuring 16, detaining 59, and confiscating 18 fishing boats. In the meantime, Israeli authorities continue to impose restrictions on the entry of fishing equipment into Gaza within the context of closure. Al Mezan condemns the violence against fishermen, and stresses that the constant harassment, detention, and shooting, which results in death and injury, as well as confiscation and destruction of equipment, is part of an unlawful closure and blockade policy that amounts to a prohibited collective punishment. Fishermen must be protected so that they can work and earn living with dignity and safety, yet the Israeli authorities restrict them to a zone between three and nine nautical miles in which to fish— and still target them when in the permitted zone. These attacks are in violation of international human rights law and compound the dire conditions of the fishing community in the Gaza Strip, 80 percent of whom live below the poverty line. The Israeli authorities’ policy to unduly hinder Palestinian fishermen’s access to Palestinian territorial waters restricts their enjoyment of Palestine’s natural resources, stifles what would otherwise be a viable sector within the Palestinian economy, which violate international law. Al Mezan calls for the immediate release of the four fishermen in detention at the time of drafting. Al Mezan urges members of the international community to take immediate steps to protect Palestinian civilians and to seek an end to Israel’s closure and blockade.